Welcome to our prayer board. 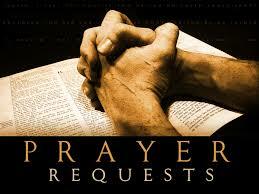 Please post your own prayer requests or praises. And then please pray for others as you feel led. We pray for those in our congregation, our community, and our world who are ill, in pain, mourning a loss, and suffering. May God grant them health, peace, and surround them with His love. Pray for our world that we may have peace and respect for all people.